There’s nothing more heartening during these chilly winter months than waking to the smell of freshly-baked bread. Imagine then, if you didn’t even have to don boots and a jacket and dash down the frosty streets to wait in a queue at the bakery, and nor did you have to get up at 4am to mix, knead, prove, knock back, prove and bake a loaf of your own? Yep, we’re talking bread makers. 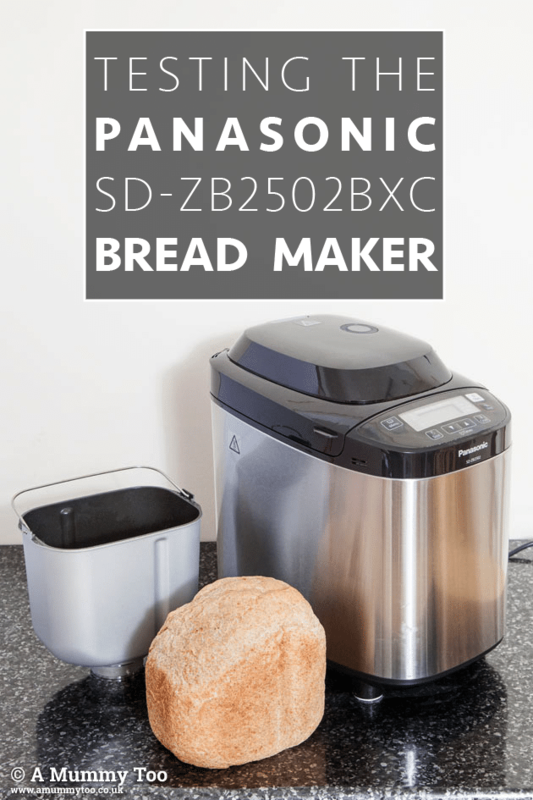 The Panasonic SD-ZB2502BXC bread maker means you can make fresh bread in as little as a couple of hours, with as little as 5 minutes of effort. It not very compact, but not so huge it can’t live on top of the fridge (H38.2 x W25.6 x D38.9cm) and it’s pretty good looking too, with its touch-sensitive control panel and stainless steel housing which doesn’t get hot even at the peak of the baking cycle, although on the downside the steel is easily marked with fingerprints. To make straightforward loaves, you just load everything into the inner tin, using the ingredients and measures set out in the supplied recipe book, select the desired programme and leave it to do its thing. 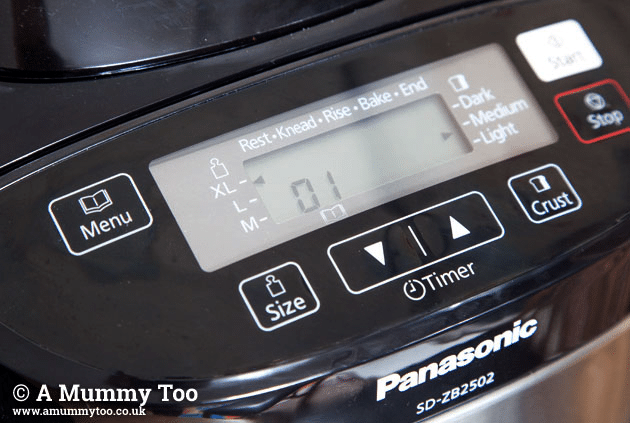 Panasonic has long been among the best in its class when it comes to making loaves this way, and this machine performs well. 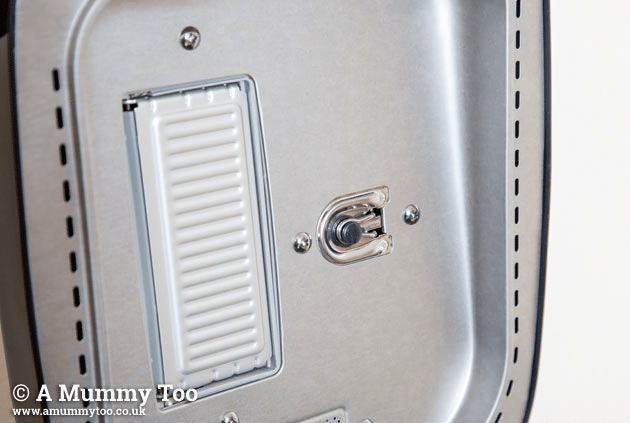 The heating element sits in the base of the machine and a steam vent at the back allows the whole process to happen without any need to open the lid during the proving and cooking process. The SD-ZB2502BXC has a raisin and nut dispenser that automatically adds your additional ingredients, meaning you can leave this machine to bake a loaf without having to keep returning to add bits and bobs. 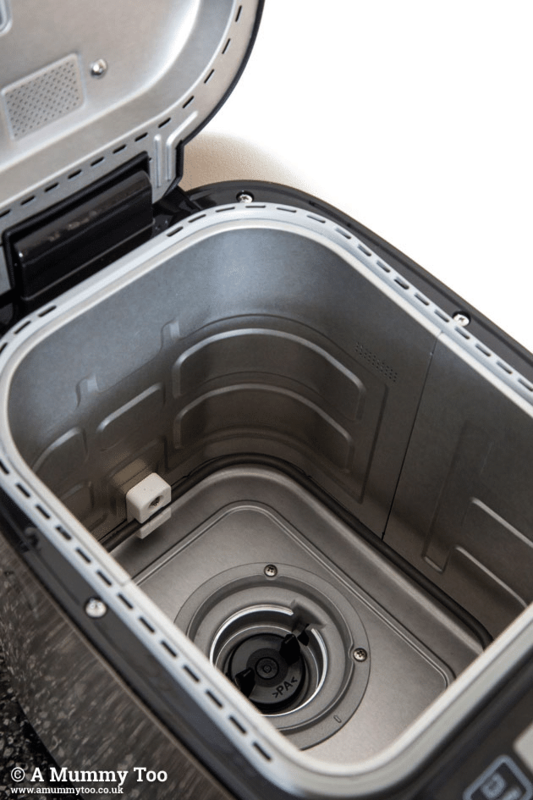 It also features a unique yeast-dispenser that drops the yeast at the optimal moment. This is clever because chucking everything in cold at once can retard the yeast, although in my tests, some of the carefully measured yeast remained in the dispenser, which could theoretically impact on your final result, although my test loaves had a good, if lop-sided rise. The recipe book includes loaves for gluten-free, low salt and high fibre diets, and lets you get to grips with different flour types such as rye and spelt flour. You can then choose from three loaf sizes (medium, large and extra large, which weighs in at 800g) and three choices of crust (light, medium, dark). There’s a choice of two paddles: one standard and one serrated, the latter being better suited to rye loaves. 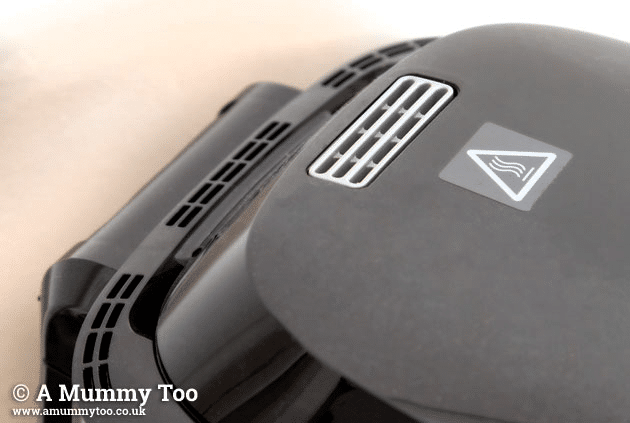 The kneading blades and the bread-pan itself are also coated with diamond particles, which makes it easy to tip out the bread with little residue, although the paddle does leave a rather large hole in baked loaves – a downside with any bread maker, to be fair. There’s also a handy rapid-bake option, which produces a basic loaf in just two hours. 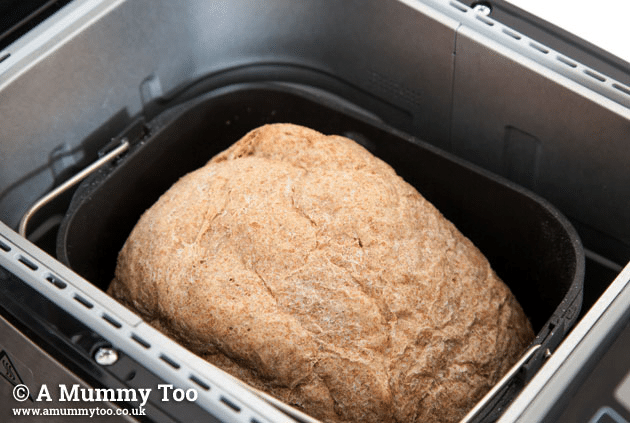 We tried this speedy option at home to produce some reasonably tasty wholemeal bread, although it was a little lop-sided and the fast prove did result in a weak and less complex flavour. Nevertheless, it was perfectly acceptable as an accompaniment to soup. Soft,with a thin, slightly steamed crust and a decent tear and spring to the crumb. 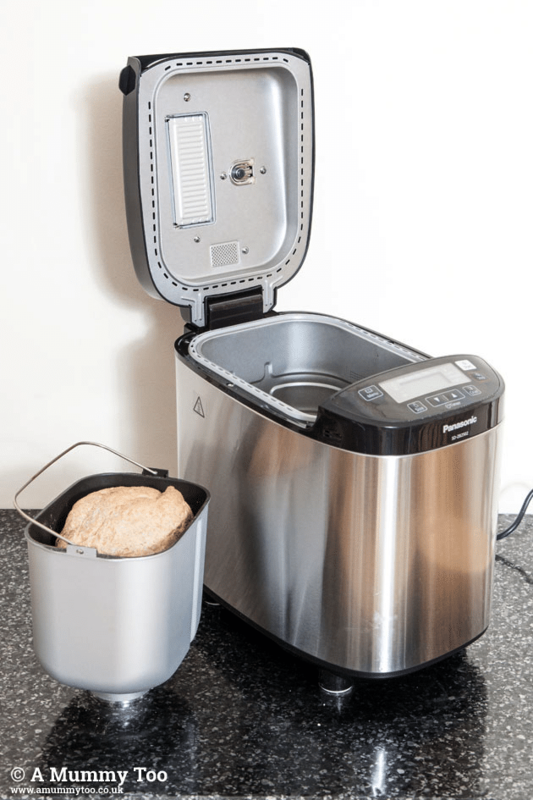 If you fancy adventuring beyond the standard loaf, you can make speciality French and Italian breads, using the bread maker. 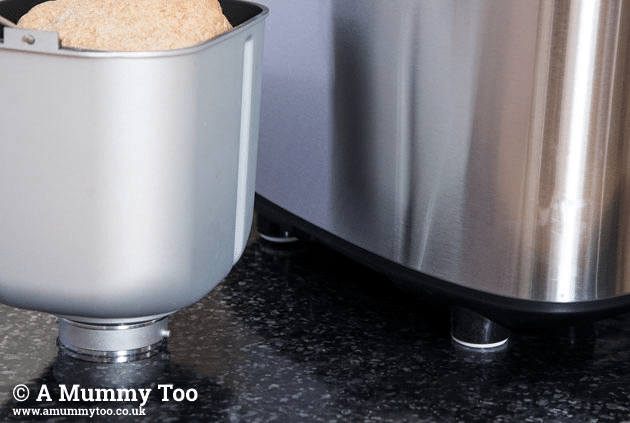 Of course, you can’t make a French stick or a standard pizza in the loaf tin, so there are a whole set of options where the bread maker just mixes and proves the dough, at which point you come in and shape and oven bake. So you will still need some skill to make beautiful brioche or perfect pizza tear-and-share, but it’s far simpler than starting from scratch. This bread maker also features a 13-hour time delay, which means you can load up the ingredients, snuggle down for the evening, and wait for the aroma of fresh bread to wake you and the family in the morning. Nifty. There are several cake recipes included in the bread maker booklet but they’re a bit disappointing. 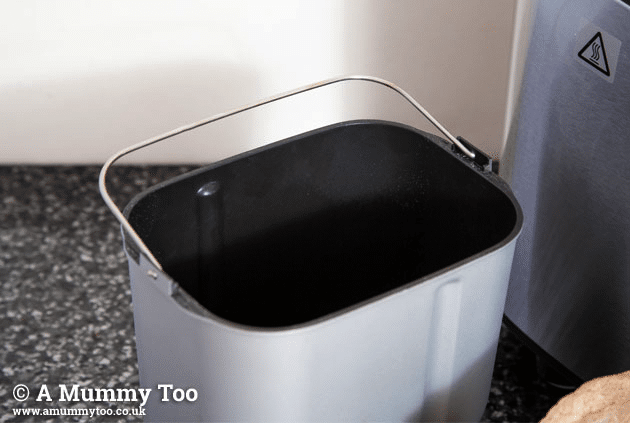 You have to measure and mix the batter in a separate bowl, remove the paddle, line the bread maker tin with greaseproof and then fill with the batter before baking. It’s simply not convenient, sadly, and the banana and walnut loaf I tried turned out anaemic on top and soggy inside. It may be that my bananas were larger than the ones used by the recipe developer, but with all the faff, I’m not enamoured with this function, especially as there are rival bread makers that allow you to mix and bake cakes right in the tin with no lining. On the plus side, there’s a jam and compote mode, which makes for quick and easy preparation of preserves. 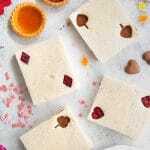 Fruit, sugar and pectin all go in together (layered up) and then the programme does the rest, so this function is a winner. I tried a basic strawberry conserve and it worked pretty well, if a little thin, but next time I’ll use the 10 minutes extra cooking time function, so that’s a thumbs up. Jan over at Glug of Oil has a nice detailed post about the process – do have a look. A note: if you’re familiar with jam making, you’ll know that you have to go by eye a little when making it the traditional way, so there’s a chance the pre-sets won’t quite work and you may occasionally under/over cook your jam. However, once you get the hang of using the machine, things should go pretty smoothly. I’ll run more tests on the jam function and report back again later. So, there are pros and cons with this machine, but overall it’s good, performing adequately overall with breads, doughs and preserves and only really falling down when it comes to cakes. Remember, I’m a hard person to please. Having tested all sorts of quick-bakers, auto-mixers and multicookers, I’ll always expect the best and always point out the weaknesses as well as the strengths. If you decide to pick up a Panasonic SD-ZB2502BXC bread maker for yourself, you might want to pop to John Lewis, as they’re currently throwing in a free Le Creuset Honey Pot or Butter Dish with every purchase between now and 16 January 2015. Get the full offer details here. We were sent the bread maker for review. Hi Emily, you seem to know your stuff. I’ve been looking at this breadmaker but generally, I like very crusty bread with not much dough *French sticks and so on), is this the best breadmaker for this? Thank you! 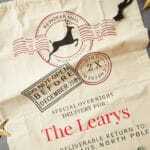 Hi Emily, I really enjoyed reading your review – your photos are fab! 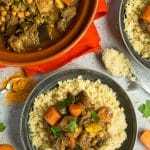 I test recipes for the Panasonic kitchen and it’s great to hear first-hand feedback as we are always keen to use constructive comments, especially to improve our recipes. Sorry there were some difficulties with your banana & walnut loaf. As you say, it can be tricky to get the amount of wet material right – I have found that the recipe worked well with 2 bananas if they are on the large side and 4 if they are small-medium. We’d love to hear how you get on next time around, and (since it’s almost Christmas) here are a few more festive breadmaker recipes, like for Mulled Wine Fruit Cake and Cranberry Sauce. I hope you enjoy them & Merry Christmas! Hi Helen. Thanks for the input. I used 2 large bananas, so from your comment, it seems unlikely that was the problem. I do wonder if the machine is a touch faulty, what with the uneven rise on the bread and the yeast dispenser that doesn’t empty entirely. Hi Emily, thank you for your response. Yes, in that case it is not normal that you should have experienced these problems with the machine. We’ll be in touch shortly by email to figure it out. Apologies for any inconvenience and happy New Year. I haven’t made a cake in mine as yet, but everything else has turned out perfectly. I have to ask had the yeast you used been opened (if it’s a sachet it must be used within 48 hours but then I’m sure you know that anyway. I’m only asking since I can’t believe our reviews are so different. My loaf of bread and the spiced fruit loaf I’ve made twice now were perfect every time. I didn’t get any yeast still left in the dispenser either. Hi. It was a brand new box of sachets, only recently bought and freshly opened for each test :) Have you tried a fast loaf? As that was the one that turned out wonky for me! Emily No I haven’t tried the fast loaf – must give it a go and hope it works!